Use our 'Create Estimate' feature to build a custom package or selection of items and email your customer a pre-filled shopping cart that contains your recommendations. Your customer can simply enter their shipping and billing information to purchase. You use the 'Create Estimate' feature to fill a shopping cart with your recommendations & send an email message to your customer with a link to the full shopping cart that contains your recommendations. Your customer can then click the link in the email and can enter their shipping and billing information to buy your recommendations. 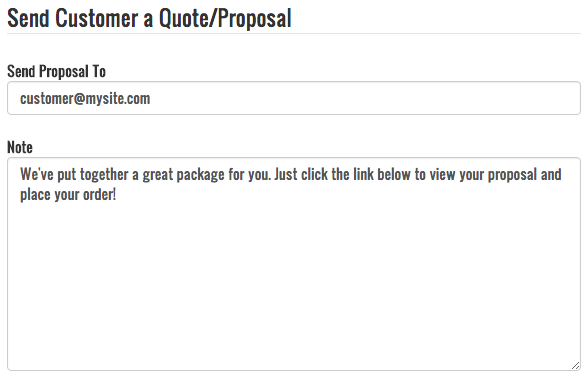 Use our 'Create Estimate' feature to email your customer a pre-filled shopping cart.